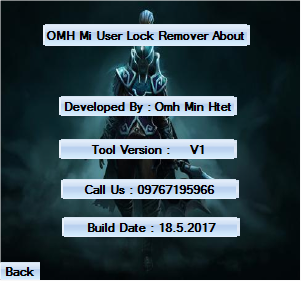 OMH Mi Userlock Remover is a tiny and powerful tool for unlock Mi mobile device userlock.This tool is 100% working and tested by Gsm Firmware Team.Mi User lock Remover Tool help you to Mi Userlock remove 9008, Mi 4, Mi 4c, Mi 4i, Mi 4s, Mi 5, Mi Max, Mi Note Pro, Redmi 4s, Redmi 3s, Redmi 3x, Redmi Note 3, Redmi Note 3 Pro, Adb Sideload and fastboot. How to Remove Mi Userlock ? 1. Extract the "OMH Mi Userlock Remover v1" Tool. 2. 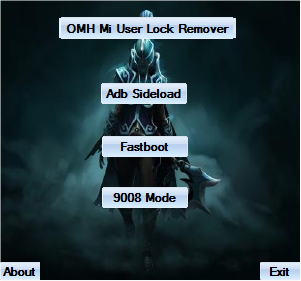 Open "OMH Mi Userlock Remover V1 by Asif.Kamboh.lucky (AK)" main setup file. 3. Connect the device with your PC or Laptop via USB Cable. 4. Click on "9008 Mode". 5. 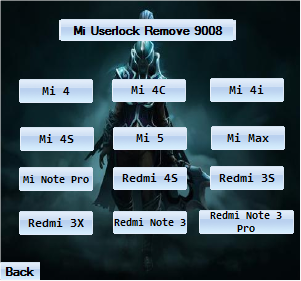 Click on Mi Mobile device model you want to unlock. 6. Mi Userlock Bypass 100% Done.Enjoy! Enter your comment...thank bro for the good job. you are the best. i would be thankful if you can get us CM2 cracked version. again thank you!